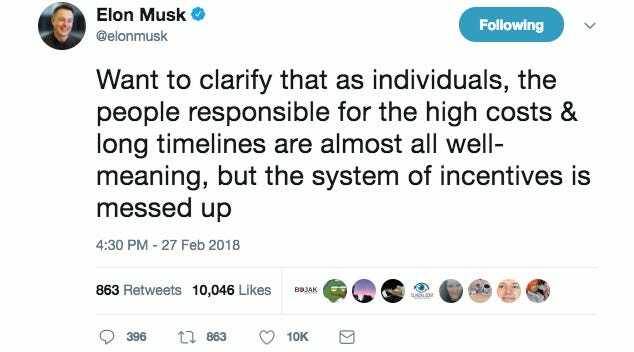 In a Twitter thread on Tuesday, Elon Musk pointed out how difficult it can be to make improvements to existing infrastructure due to incentives that increase their cost and difficulty. The thread addressed points made by critics that Hyperloop, a high-speed transit system proposed by Musk, is impractical. 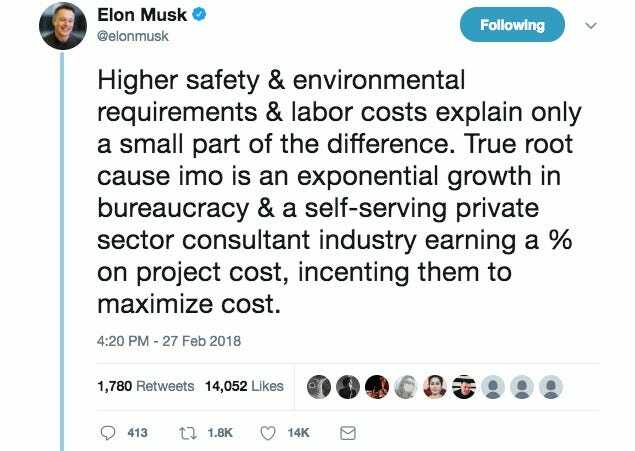 Musk’s Hyperloop concept and Boring Company both have their fair share of critics who think it’s a fantasy, but Musk’s tweets pointed out how traditional infrastructure improvements can be expensive and difficult as well. Elon Musk’s ideas for future transportation systems might sound a little crazy at first. The Hyperloop, a high-speed transit system, first proposed by Elon Musk in 2013, would send pods full of passengers through tubes at over 500 mph and require tunnel networks to be built from scratch. His Boring Company, which is working to build a tunneling system, could be used to build those networks, but doing so requires approval from the governments of cities the tunnels would pass through. 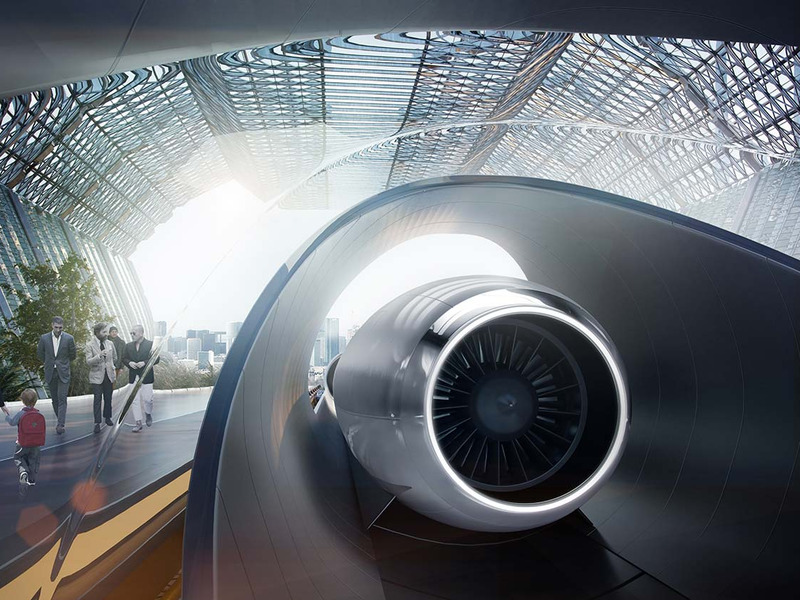 On top of that, the basic Hyperloop system is still in the early stages of development, so it’s unclear if the underlying technology would allow for safe and reliable inter-city transport. But the vast amount of work that would be needed to get a Hyperloop system running might not be as impractical as it seems. In a Twitter thread on Tuesday, Musk pointed out how difficult it can be to make improvements to existing infrastructure due to incentives that increase their cost and difficulty. Musk started the thread by comparing a Chinese train station that was built in just nine hours to overworked and out-of-date transit systems in San Francisco and New York City. He then described some of the reasons why American cities have trouble keep their infrastructure in good shape. “True root cause imo is an exponential growth in bureaucracy & a self-serving private sector consultant industry earning a % on project cost, incenting them to maximize cost,” he wrote. New York City’s subway system, for example, is in horrible shape after years of inadequate maintenance, and the influence of unions and private contractors makes construction projects far more expensive than in comparable cities. It doesn’t help that the system’s combination of state and city funding means that no one group can be held fully accountable for its problems. So if Hyperloop seems like a pipe dream, so do timely and reasonably-priced public infrastructure projects.